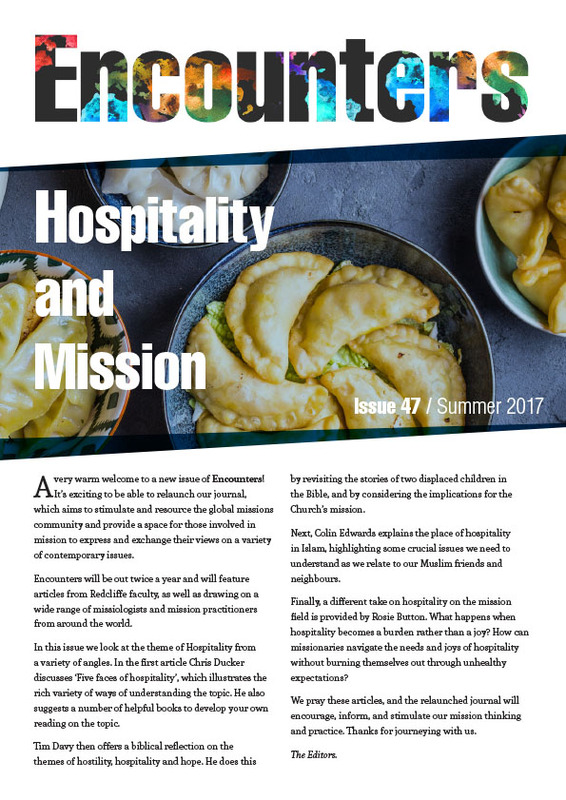 Book Review by Tim Davy, Reviews Editor for Encounters. Grove Books are to be commended for publishing Truth with a Mission – a short (a mere 28 pages) but brilliant booklet in which Wright discusses the centrality of mission to our understanding of Scripture. In short, a missional hermeneutic proceeds from the assumption that the whole Bible renders to us the story of God’s mission through God’s people in their engagement with God’s world for the sake of God’s purpose for the whole of God’s creation. Mission is not just one of a list of things that the Bible happens to talk about, only a bit more urgently than some. Mission is, in that much-abused phrase, ‘what it’s all about’ (p7). Wright finds justification for this last phrase in the account of Jesus’ biblical theology lesson to his companions on the road to Emmaus (Luke 24; especially verses 46-47). The cross and resurrection and their proclamation fulfil the Old Testament; thus, “the proper way for disciples of Jesus of Nazareth (crucified and risen) to read their Scriptures is messianically and missiologically” (p8, italics his). Evangelicals, Wright argues, have been very good at the former but lacking in the latter, precisely because we have failed to link the two together. Chapter 4, ‘Whose Mission is it Anyway?’, traces the narrative of Scripture using the vocabulary of mission: God with a Mission, Humanity with a Mission, Israel with a Mission, Jesus with a Mission, The Church with a Mission. These form the basis of a missional hermeneutic of Scripture; that is, mission should inform how we read any part of the Bible. As we have come to expect from Wright, and quite rightly so, he then meditates more fully on the missiological perspective of the Old Testament. Too many Christians think of the Mount of Ascension as the birth place of mission. Even David Bosch’s “magisterial survey”, Transforming Mission, denies a proper place to the Hebrew Scriptures (p16). Wright takes four of the central tenets of Israelite faith (monotheism, election, ethics and eschatology) and considers their missiological implications. Those familiar with his work to date will see in this chapter familiar, yet very welcome territory. There are now a number of books around that have helped redress the place of the Old Testament in our understanding of Mission (as evidenced by Wright’s helpful bibliography). What I like about Truth with a Mission is that it takes this welcome trend to the next level. Wright demonstrates that mission is not just a theme of the Bible, but actually shaped the Scriptures and, therefore, informs the act of biblical interpretation. It is a more rounded and fecund view of mission and the Scriptures, enlightening the reader’s grasp of both missiology and theology. Truth with a Mission could be used in a number of settings, both in the classroom and in the Church. Each short chapter concludes with some questions for reflection, which attempt to root the material into the life of reader. I wouldn’t describe the booklet as an ‘introduction’ to mission as such. Truth with a Mission’s real worth, however, will be for those who have already thought a little about the issues it seeks to address; namely, the relationship between biblical interpretation and mission. Its message is refreshing and, as usual, Wright’s prose is clear and bursting with his passionately held and persuasively argued convictions. Truth with a Mission is inexpensive and short enough to warrant an extensive readership, and I hope it receives just that. The tag-line for Grove’s booklets is that they provide ‘not the last word… but often the first’. Chris Wright’s essay is an excellent example of this ethos. In conclusion, if you are interested or involved in mission in any way, you should get hold of this booklet. I would make it required reading for anyone studying missiology or biblical theology and interpretation. It is accessible, refreshing and provocative. The inside cover notes that Truth with a Mission forms the core argument for Chris Wright’s forthcoming book on missional hermeneutics of Scripture. I, for one, can’t wait!